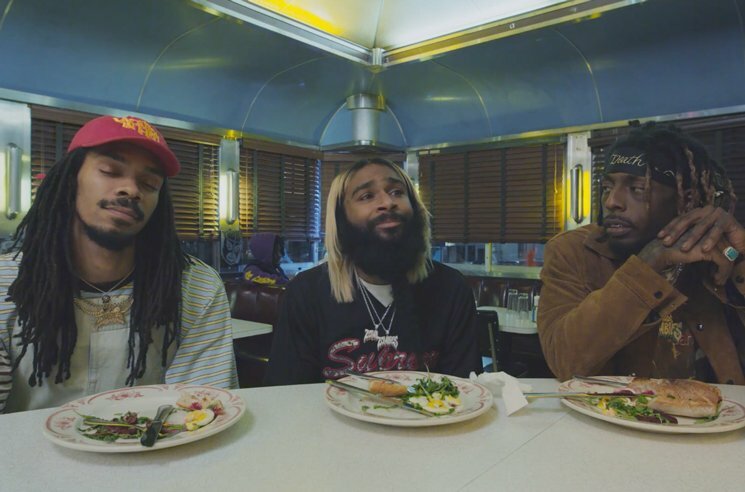 Flatbush Zombies are set to drop their sophomore LP Vacation in Hell tomorrow (April 6), and a new short film finds the trio grappling with how they're going to rake in those streaming numbers a day before its arrival. Vacation (The-Movie), directed by Phillip T. Annand, finds the trio at a Brooklyn diner soliciting some release day advice from the likes of Lin-Manuel Miranda, John Leguizamo, A$AP Twelvyy and Ice-T, cut between clips of new music from the record. You can take it all in the with the player below. Vacation in Hell arrives tomorrow, with the group set to take it on a North American tour starting later this month. Flatbush Zombies also shared short film Building a Ladder earlier this month.